Yes I'm going to come clean... I'm a pretzel lover. Hard and crunchy, soft and chewy, they're my guilty pleasure and if I were forced to pick and choose, big soft NYC it would be. Is there really anything more quintessentially New York than a hot, soft pretzel covered in coarse salt and a little mustard or cheese? If you've ever felt your pretzels were missing that little something, something, read on for how to get that soft chewy texture on the inside and that lovely brown flavor on the outside. Plus an easy way to take the guess work out of how to actually form those loops of dough uniformly each time. Chewy, buttery, salty sweet they were a hit! 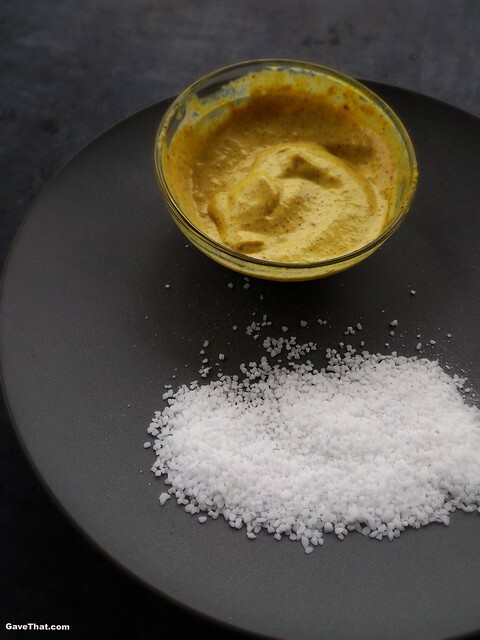 Here's how to create true NYC style soft pretzel flavor for the gang at home with a slightly more healthy twist hidden inside. Set your oven to 450 °F.1) Combine honey, warm water and beer into a measuring cup and add yest being sure to combine it well. Allow yeast to proof (bubble up and activate) for about 10 minutes. In the mean time fill a pot with 4 cups of water and the 1/2 cup of baking soda. 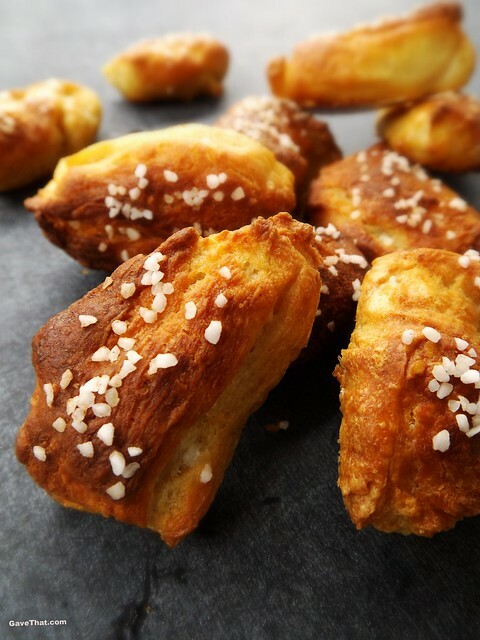 The later helps create that chewy brown crust NYC soft pretzels are known for and also helps to enhance their flavor.2) Combine dry ingredients together, sifting flower if time allows.3) Once yeast is frothy combine with the dry ingredients and add oil. Stir and kneed until a dough ball forms. A kitchen Aid with its dough hook attachment or a bread machine on the dough setting makes quick work of this but if doing this by hand I love this quirky looking Danish dough whisk. Years ago I stumbled on one in an antique shop but it was too badly rusted to use so I left it behind making a mental note to look if they still make modern versions. They do! I found a shiny new one over on Amazon.4) Let dough rise until doubled which will be about an hour. 5) After dough has risen punch down and transfer to a floured tray. Form dough into a log and divide into ten individual pieces of dough. Roll dough between floured palms to form long snakes. Thanks to the honey this dough tends to be quite soft and sticky so extra flour for dusting is usually needed. 6) The easiest way to create these soft pretzels is to cut each long snake of dough into 1 inch pieces. 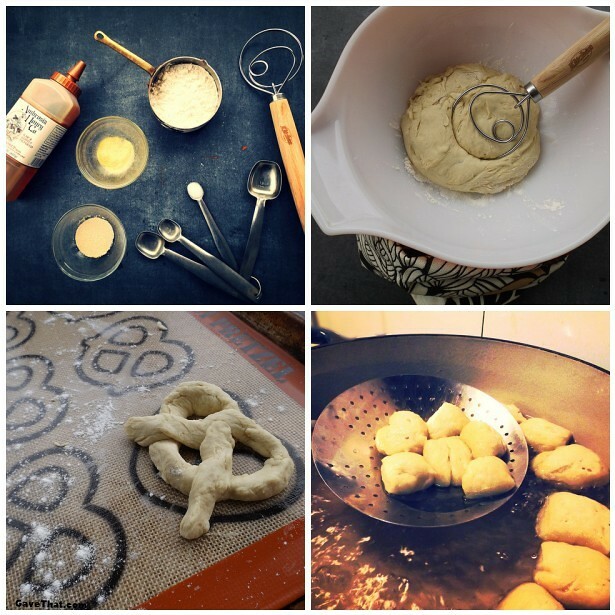 To make classic soft pretzels using this mat with pretzel shaped templates helps a lot. Either way these non-stick French Silpat mats are great for keeping your baking pretzels from both burning and sticking. Allow your shaped pretzel dough to rise again and double in size in a warm place with a damp towel over top.This will take about 15 minutes.7) Bring your baking soda water to a boil and gently add your pretzels being careful not to overcrowd. Boil each batch for 1 minute at a time and remove straining off water.8) Place boiled pretzels on a baking sheet and non-stick mat. 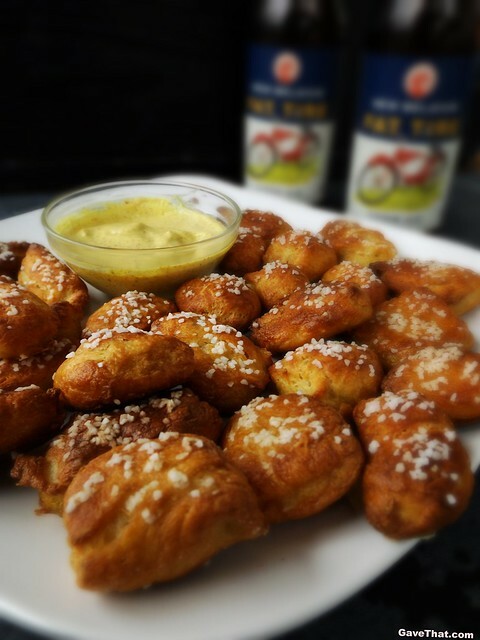 Use a basting brush to lightly coat melted butter each pretzel and sprinkle with coarse salt.9) Bake for 13 to 15 minutes or until golden brown. Be careful not to over bake. Cool on wire rack. 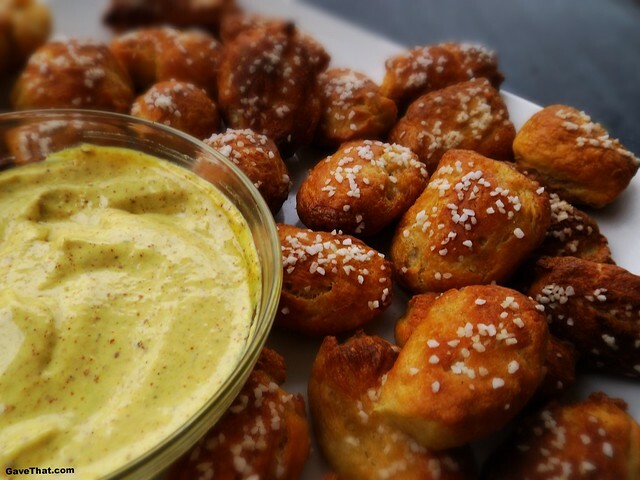 An easy to whip up creamy honey mustard dipping sauce perfect for the pretzel bites above. Combine all ingredients and mix well until smooth. Store in the refrigerator until ready to serve.Pop your dipping sauce into a bowel, surround by fresh out of the oven hot pretzels, a few tasty beers and you're good to go! The nice part about this recipe is it can be easily doubled for when you want to make these for party guests. They come out just as good.